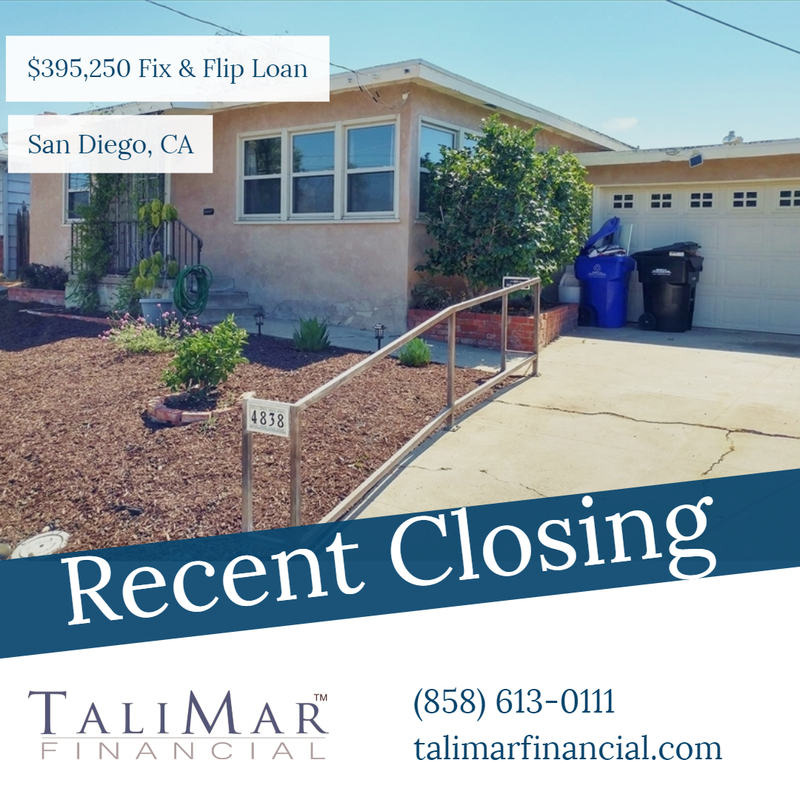 San Diego, CA – TaliMar Financial is pleased to announce its most recent funding of a $395,250 Fix & Flip loan secured on a single family home in San Diego, CA. The Borrower contacted TaliMar Financial for a fix & flip hard money loan after their offer was accepted with a 5 day closing contingency. The Borrower intends complete a full interior and exterior renovation. TaliMar Financial will be repaid through a future sale.